I am always in the search of meaningful and unique events or adventures. And there are constantly some new exciting projects in the line, so stay tuned! Living in a van to me is ultimate freedom, living in the moment and in the pursuit of something wild and new. After my filming projects WAY NORTH and WAY EAST, I am already thinking of where to go next. I will still run SPLITBOARD/FREERIDE CAMPS in the alps in 2017/18 as well as another mountain project called SAFE ON SNOW – a women´s avalanche clinic for those who want a supportive, fun and educational day in the mountains. 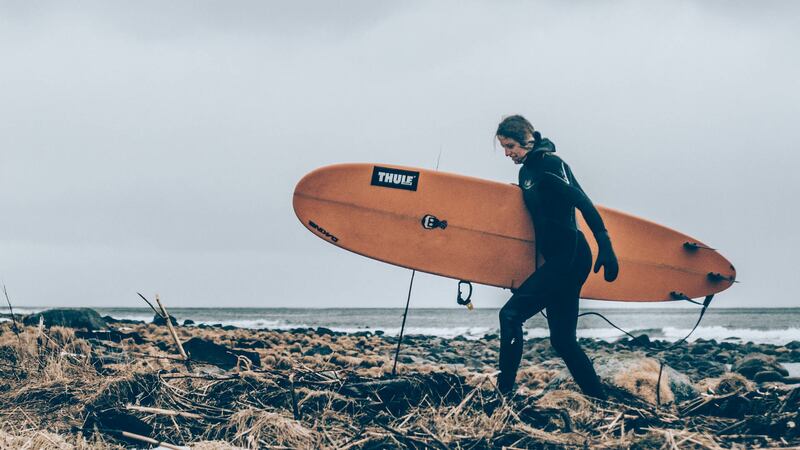 „a land shaped by women“ is an inspirational depiction of Aline´s and Anne-Flore´s journey across Iceland, where the two Freeride World Champions explore the country in a van through the adventure sports they are passionate about: snowboarding and surfing.